"There is no good reason why human societies should not be described and explained with the same precision and success as the rest of nature." Thus argues evolutionary psychologist Pascal Boyer in this uniquely innovative book. Boyer offers precise models of why humans engage in social behaviors such as forming families, tribes, and nations, or creating gender roles. In fascinating, thought-provoking passages, he explores questions such as Why is there conflict between groups? Why do people believe in low-value information like rumors? Why are there religions? What is social justice? What explains morality? Boyer provides a new picture of cultural transmission that draws on the pragmatics of human communication, the constructive nature of memory in human brains, and human motivation for group formation and cooperation. The best book yet on one of the deepest issues in our understanding of ourselves – how the intellectual contributions of individual people shape the cultures of societies. Pascal Boyer is a pioneer in this landscape and explores it with insight and precision"
Steven Pinker, author of How the Mind Works and Enlightenment Now. 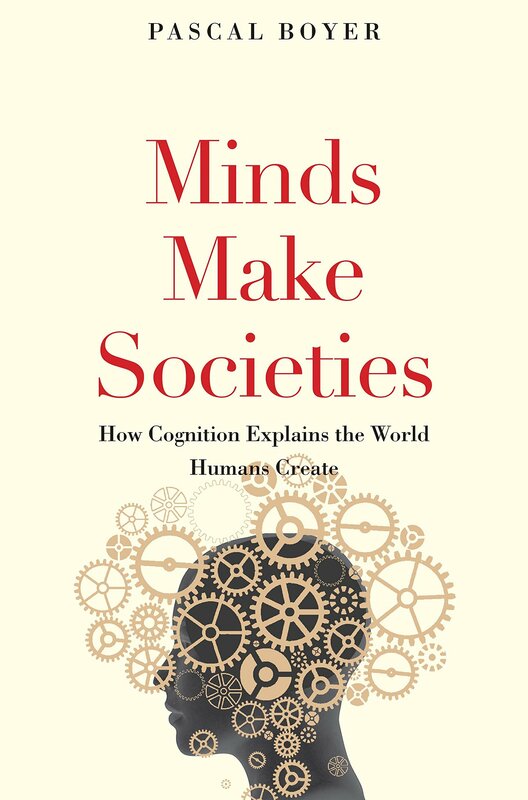 Read Pascal Boyer's cool and captivating new book Minds Make Societies. It will change forever your understanding of society and culture. Dan Sperber, co-author of The Enigma of Reason. Pascal Boyer’s elegant and insightful essays on human nature and human society show the power of combining anthropology, evolutionary theory, and cognitive psychology. I particularly like his balance and even-handedness in evaluating various contending social theories. The Moral and Material Bases of Social Life. Minds Make Societies is the most important work on a science of of human culture in years. If the best ideas win, this scholarly tour-de-force will become must-reading for everyone interested in how society works. Pascal Boyer has written a wide-ranging, clear and convincing book. It is essential reading for anyone who wants to better understand the workings of our social world. Hugo Mercier, co-author of The Enigma of Reason. 1. What Is the Root of Group Conflict? 2. What Is Information For? 3. Why Are There Religions? 4. What Is the Natural Family? 5. How Can Societies Be Just? 6. Can Human Minds Understand Societies?